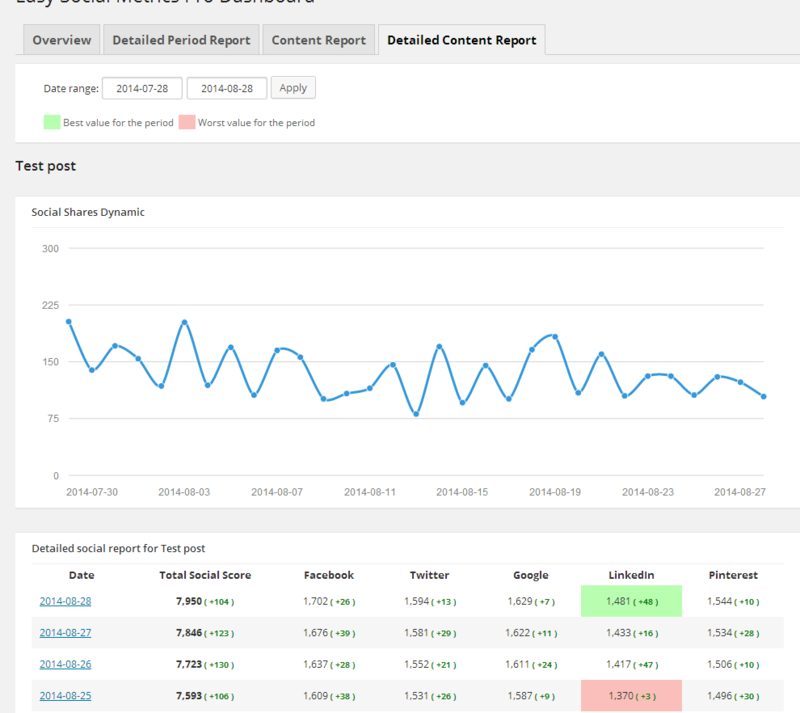 Easy Social Metrics Pro is the Most Complete Social Metrics and Analytics plugin for WordPress that allows you to monitor how your content performs on major social networks. Easy Social Metrics Pro is designed to give you the information you need without unnecessarily complicating things. 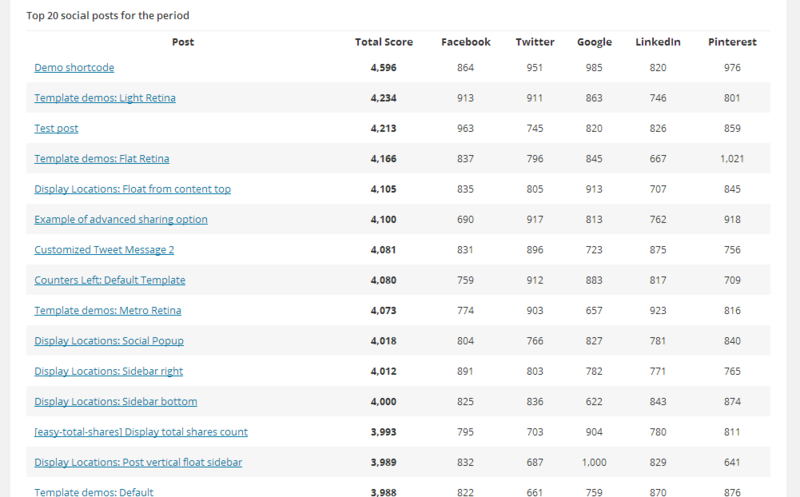 Easy Social Metrics Pro is made simple so you can deal with it even if you are absolute beginner. Easy Social Metrics Pro comes with build-in widget to display your top social posts with advanced customization options (take a look at Top Social Posts Widget display on our demo site). 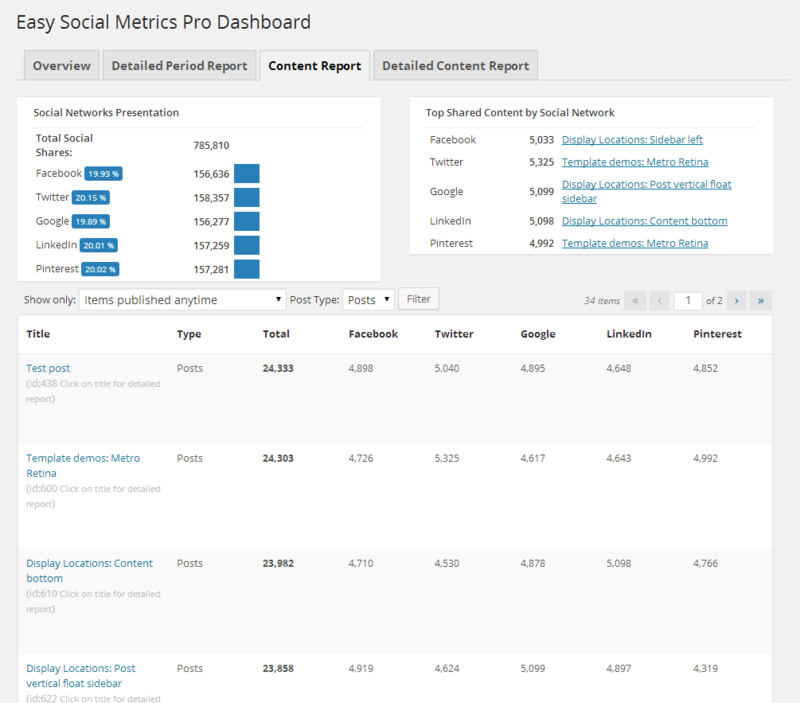 Did You Know How Important Can Be Social Metrics And Why You Need Easy Social Metrics Pro? Social media directly impacts your business’s search engine optimization efforts and search engines influence your social media presence. Link building has always been an important factor taken into consideration by search engines to determine whether other websites across the web deemed your website to be a quality source of information. For years businesses would apply various link building tactics both credible and illegitimate to garner more links to their website to gain higher rankings. Today, links are mainly achieved through developing original content that is in turn, shared across social media. Links to your content on Facebook, Twitter, LinkedIn, Google+ and other social networks help the search engines understand what websites are credible and should be ranked for what keyword phrases. For instance, a link that is tweeted many times as opposed to a link that was never tweeted, will have higher visibility in search engines since it is assumed it is better content because many have decided to share it with their social networks. Be sure to share your most compelling content on social media to not only gain traffic from your audiences on each channel, but from search engines over time. In the end, engaging with real people is what social media helps you do on a daily basis giving you the opportunity to build the trust of your audience overtime and hopefully some love on their favorite social network. Again, content shared across social media is taken into consideration by search engines as indication of quality information that should be ranked accordingly. The more links a page on your website has, the quicker the search engines index this content in the rankings. Since social media can help influence the amount of links a piece of web content receives in a shorter period of time, it can often speed up the process of indexation of the content in search engines. Content that has been extensively tweeted about can cut indexation time by 50%, while reducing the time it takes Googlebot to find your content from 2 hours to 2 seconds. The speed at which your content is indexed is affected by many factors such as how many people tweeted the content, the influence of the people who tweeted the content, and the time frame in which this content was shared. Overtime the more content that is shared about your website across social media, the more rankings your website will receive across the major search engines. Each piece of content shared publicly on social media increases the authority of your domain as a whole, driving traffic and credibility for the long-term success of your business. Google appreciates when a website is updated with fresh and relevant content often, which is also true when it comes to your social media accounts. If the social media profiles associated with your website are active with frequent, quality updates then the search engines take into consideration that your business is authentic, engaged, and valuable to readers. When You How Important Is Your Social Media Presence Do You Know How To Measure It? 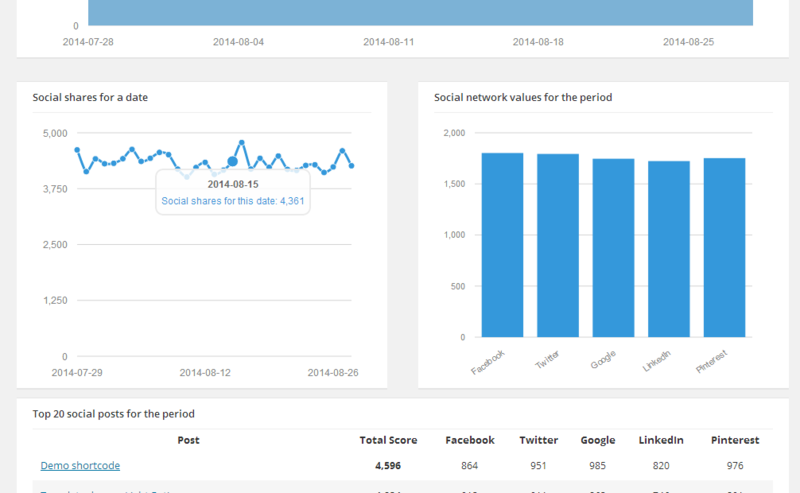 We created Easy Social Metrics Pro to help you measure your social media presence! 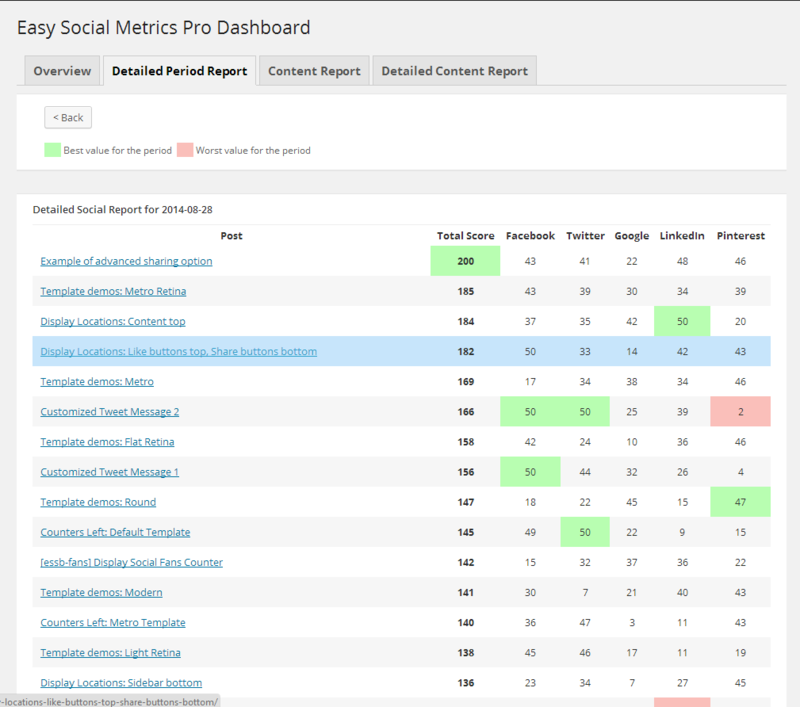 With Easy Social Metrics Pro, you are able to measure how each site’s social signals are performing. 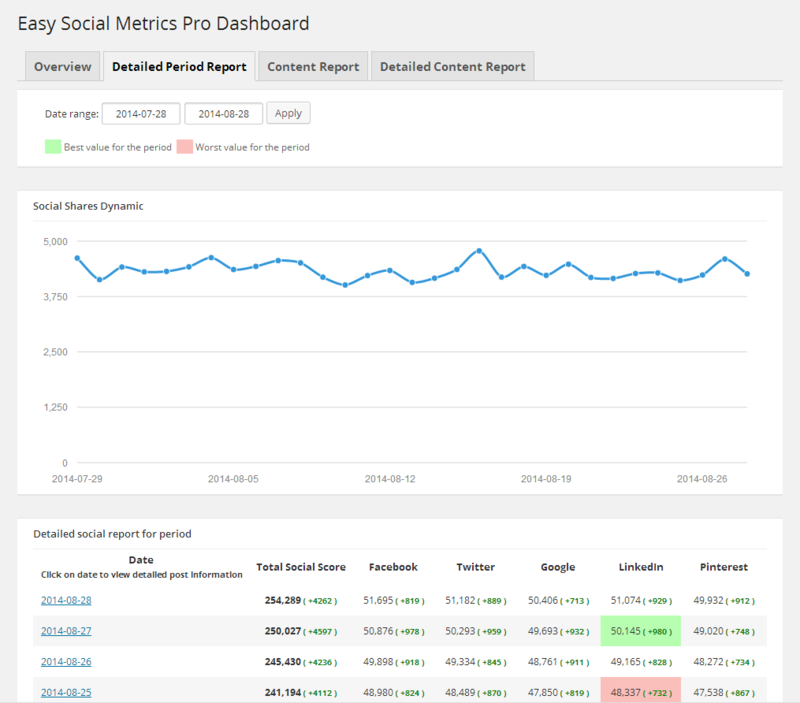 With easy to use dashboard and reports you will now what needs to be improved in your social media presence and celebrate increase in traffic and have more keywords ranked! How Easy Social Metrics Pro Work? Just select content type you wish to monitor and social networks you wish to have information for and you are ready. Once activated plugin collects current social media presence and start updating information once a day automatically (you have option for manual update). After initial collect of data is completed you will have a report of your social media presence for selected content that you monitor. After one more day you will have access to dynamic of your social media presence change. Easy Social Metrics Pro provide a easy to understand color value mark – the best value is marked in green and the worst value is marked in red and all you need is to take action to turn reds into greens – it is very simple how you can increase social media presence and directly affect your SEO. Top Social Posts Widget with advanced customization options to every aspect of data that is displayed on screen. 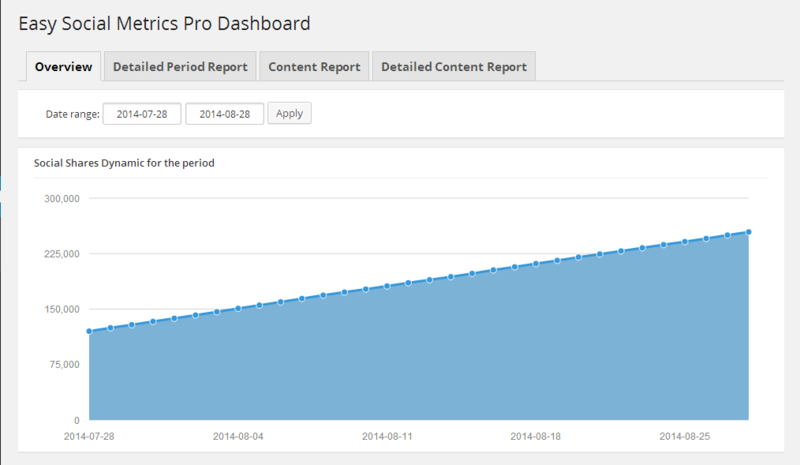 All date and detailed reports requires data collected by Easy Social Metrics Pro. You will view dynamic or increase in this reports after at least 2 date updates are made after automatic update is activated. Easy Social Metrics Pro has a light version which comes for free with our all-in-one social share solution Easy Social Share Buttons for WordPress.